Vance, Joel. 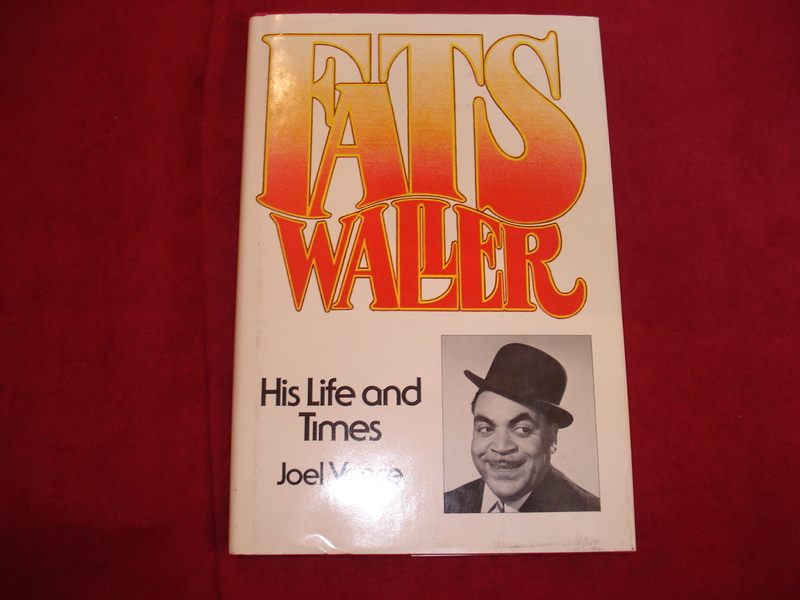 Fats Waller. His Life and Times. Photo available. Chicago. Contemporary. 1977. Octavo. Hard cover. First edition. Illustrated. Fine copy (book plate) in fine dust jacket (in mylar). Vancil, Mark. 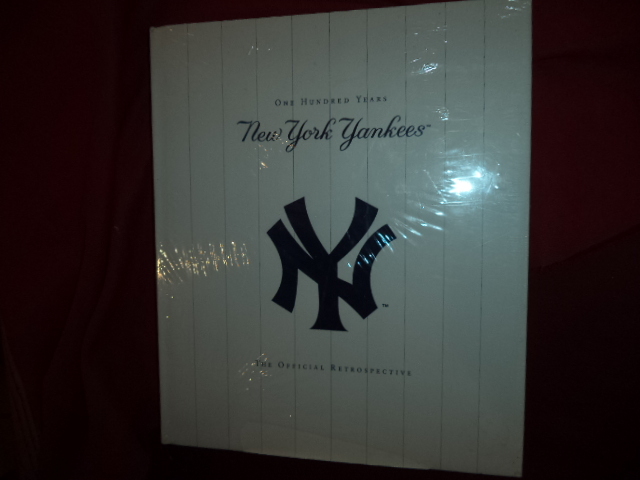 New York Yankees. One Hundred Years. The Official Retrospective. in shrink wrap. Photo available. New York. Ballantine. 2003. 4to. Decorated hard cover. First edition. Illustrated. Important reference work. Fine copy in fine dust jacket. In shrinkwrap. VanDeMark, Brian. Pandora's Keepers. Nine Men and the Atomic Bomb. Photo available. Boston. Little, Brown Co. 2003. 381 pps. Octavo. Soft cover. First edition. Important reference work. Fine copy. Vandercook, Margaret. 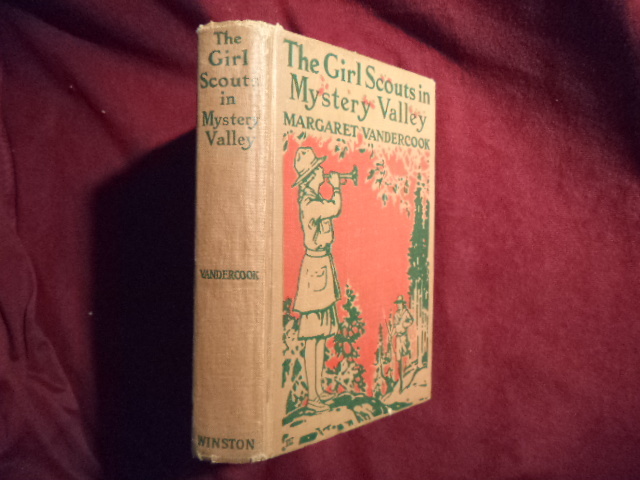 The Girl Scouts in Mystery Valley. Photo available. Philadelphia. John C. Winston. 1923. 224 pps. Octavo. Decorated hard cover. First edition. Near fine copy (very light shelf wear). 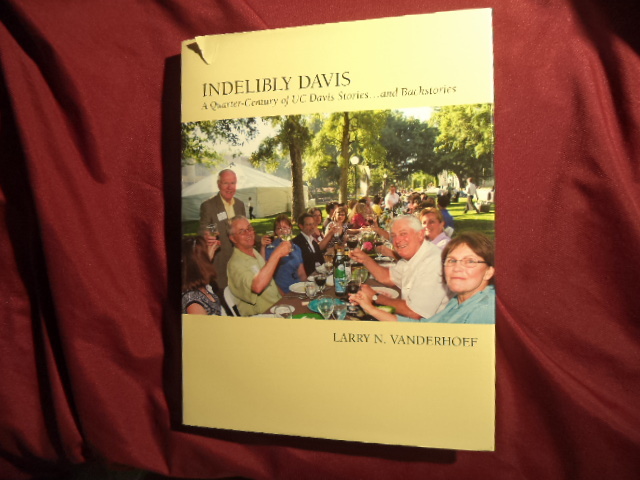 Vanderhoef, Larry N. Indelibly Davis. A Quarter-Century of UC Davis Stories... and Backstories. Photo available. Davis. eScholarship. 2015. 172 pps. 4to. Hardcover. First edition. Illustrated in black, white and color. Important reference work. 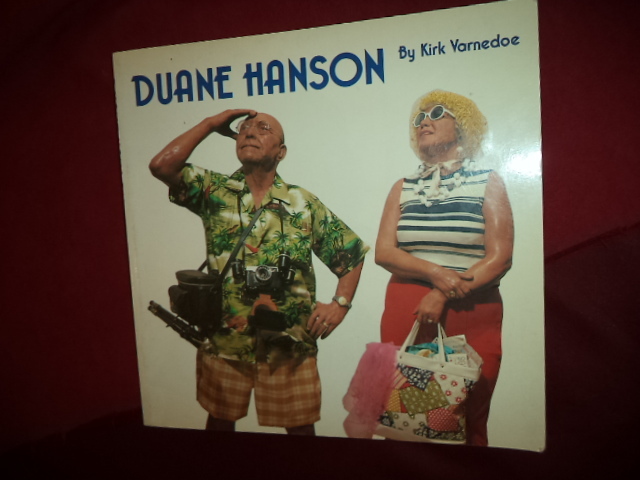 Fine copy in fine (small, closed tear on top edge) dust jacket (in mylar). 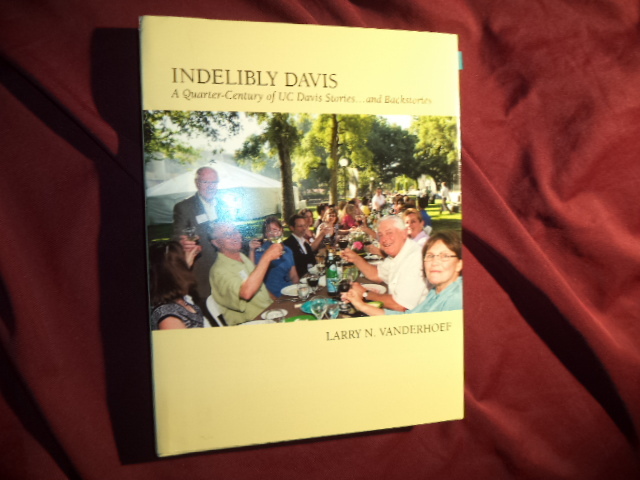 Vanderhoef, Larry N. Indelibly Davis. signed by the author. A Quarter-Century of UC Davis Stories... and Backstories. Photo available. Davis. eScholarship. 2015. 172 pps. 4to. Hardcover. First edition. Illustrated in black, white and color. Important reference work. Signed "Larry" on the half-title page. Fine copy in fine (small, closed tear on top edge) dust jacket (in mylar). VanderWerf, Barbara. Granada. A Synonym for Paradise. The Ocean Shore Railroad Years. A Landscape History. Photo available. El Granada. Gum Tree Land Books. 1992. 208 pps. 4to. Soft cover. First edition. Full number line. Illustrated. Important reference work. Very good copy. Light crease on cover, corners lightly bumped. Vane, Sylvia Brakke (ed). 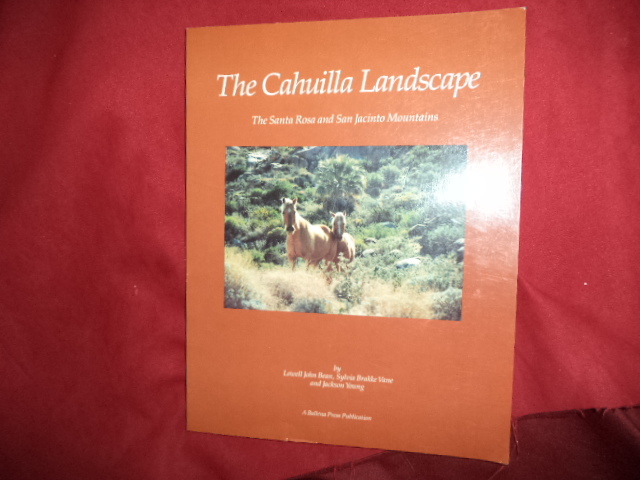 The Cahuilla Landscape. The Santa Rosa and San Jacinto Mountains. Photo available. Menlo Park. Ballena Press. 1991. 116 pps. 4to. Soft cover. Stated first edition. Illustrated. Important reference work. Fine copy. Vann, Peter, Clauspeter Becker et al. Moments. The Official Porsche Anniversary Book. 1948 - 1998. In slip case. Photo available. Reutlinger. Praetor & Rindliscacher. 1998. 210 pps. 4to. Decorated hard cover. First edition. Illustrated in black, white and color. Important reference work. Fine copy in fine slip case. Vann, Philip. 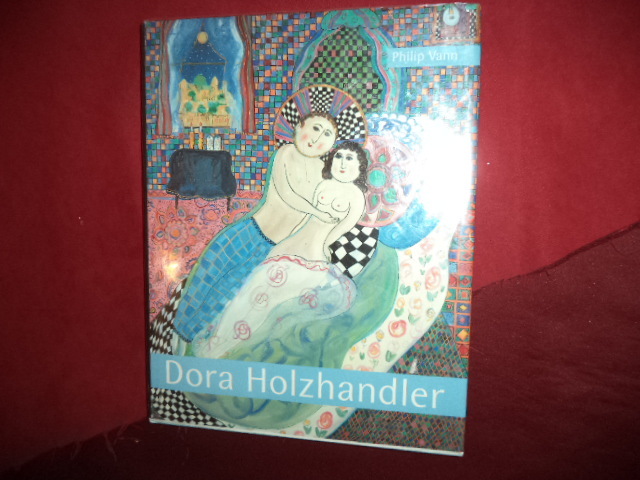 Dora Holzhandler. Photo available. New York. The Overlook Press. Woodstock. 1997. 128 pps. 4to. Hardcover. First edition. Full number line. Illustrated in black, white and color. Important reference work. Fine copy in fine dust jacket (in mylar). Vanwalleghem, Rik. 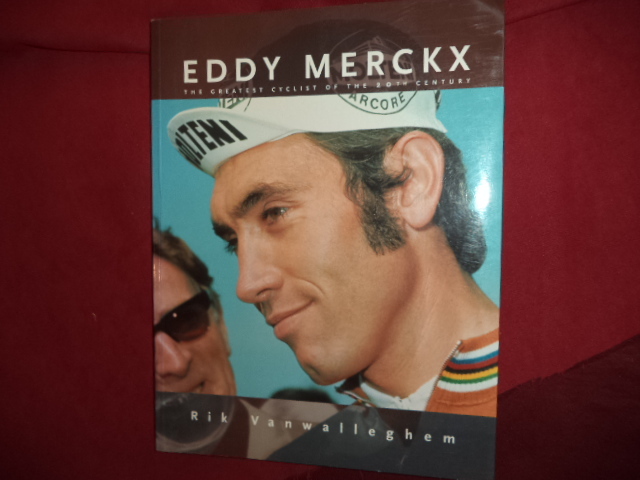 Eddy Merckx. The Greatest Cyclist of the 20th Century. Photo available. Boulder. VeloPress. 1996. 211 pps. 4to. Soft cover. First edition. Full number line. Illustrated in black, white and color. Important reference work. Fine copy. Vargas, Alberto & Hugh Hefner. 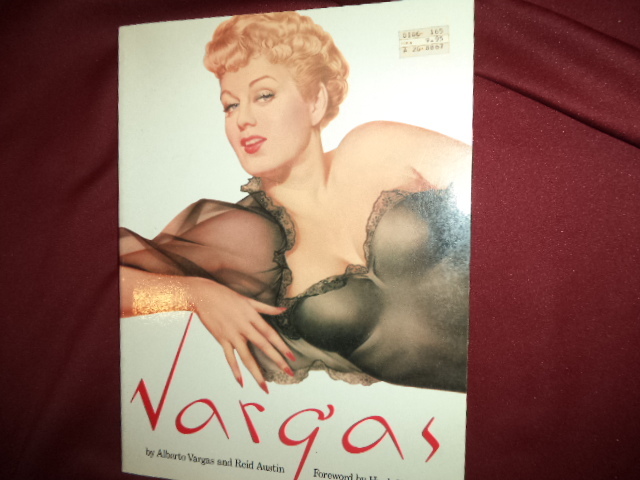 Vargas. Photo available. New York. Harmony. 1978. 128 pps. 4to. Soft cover. First edition (number line starts with "2"). Illustrated in black, white and color. Important reference work. Fine copy. Varien, Mark et al. Survey, Testing and Excavation Along New Mexico State Highway 53, Between the Black Rock Cutoff Road and the Nutria Road, Zuni Indian Reservation, McKinley County, New Mexico. Photo available. Zuni. 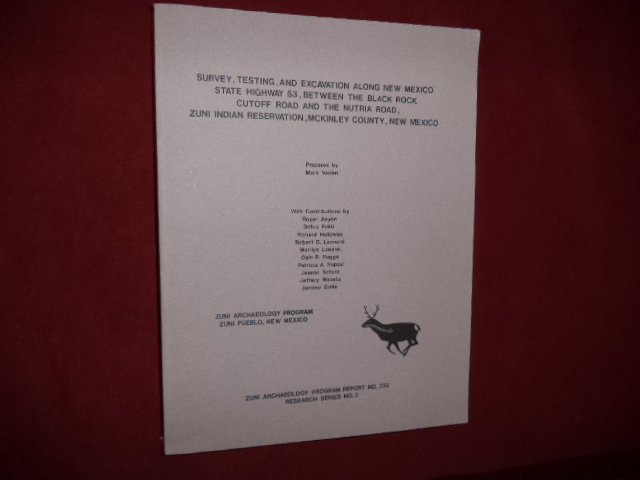 Zuni Archaeology Program. 1987. 306 pps. 4to. Soft cover. First edition. Illustrated. Important reference work. Fine copy. various. Trial of War Criminals. Documents: 1. Report of Robert H. Jackson to the President. 2. Agreement Establishing an International Military Tribunal. 3. Indictment. Photo available. Washington. GPO. 1945. 89 pps. Octavo. Soft cover. First edition. Good copy, white wraps, detached. Varlamos, Georgis & A. Xyggopoulos. 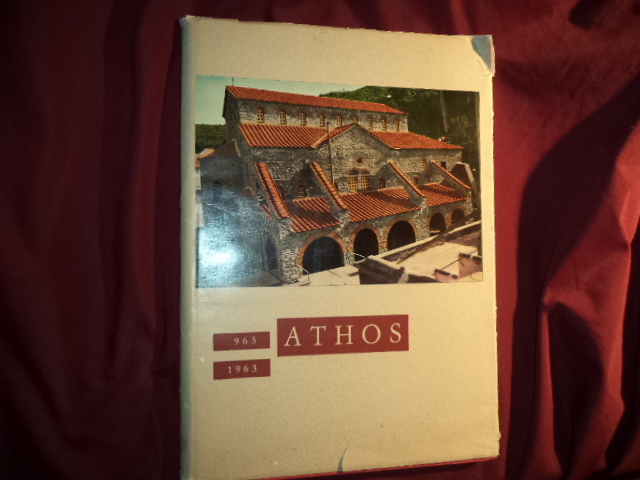 The Holy Mountain Athos. 963 - 1963. Photo available. Athens. Graphic Arts Kostas Tziropoulos. 1963. 4to. Hardcover. First edition. Illustrated in black, white and color. Important reference work. Fine copy in lightly edge worn dust jacket (in mylar). Varley, G.C. et al. 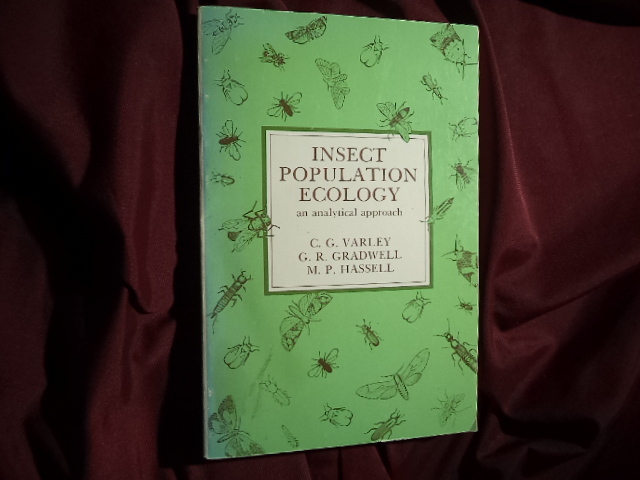 Insect Population Ecology. An Analytical Approach. Photo available. Berkeley University of California Press. 1973. 212 pps. Octavo. Soft cover. First edition. Illustrated. Important reference work. Fine copy. Varley, James F. Brigham and the Brigadier. Inscribed by the author. General Patrick Connor and His California Volunteers in Utah and Along the Overland Trail. Photo available. Tucson. Westernlore. 1989. 320 pps. Octavo. Hardcover. First edition. Illustrated. Important reference work. Inscribed by the author "To Ed Brockman - With fond remembrances of happier childhood days, when we both decided to become sailors. Jim Varley August 1992". Fine copy in fine dust jacket (in mylar). Varley, Pamela (ed). The Sweatshop Quandary. Corporate Responsibility on the Global Frontier. Photo available. Washington. Investor Responsibility Research Center. 1998. Octavo. Soft cover. First edition. Fine copy. Varley, Susan. Badger's Parting Gifts. Photo available. New York. Lothrop, Lee & Shepard. 1984. Octavo. Hard cover. First edition. Illustrated in black, white and color. 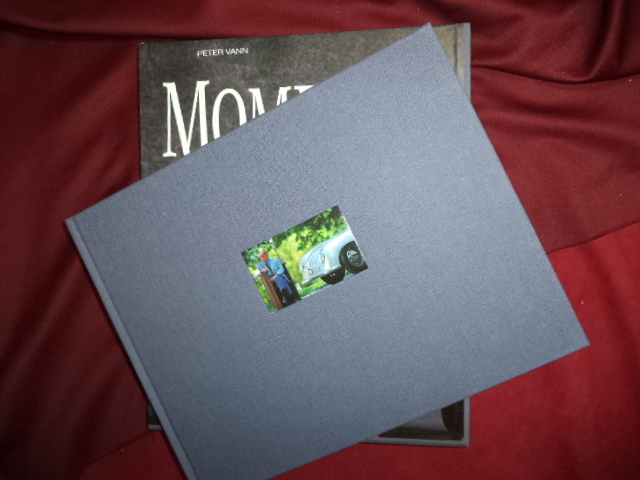 Fine copy (blank book plate on end paper) in fine dust jacket (in mylar). Varnedoe, Kirk and Adam. High & Low. Modern Art. 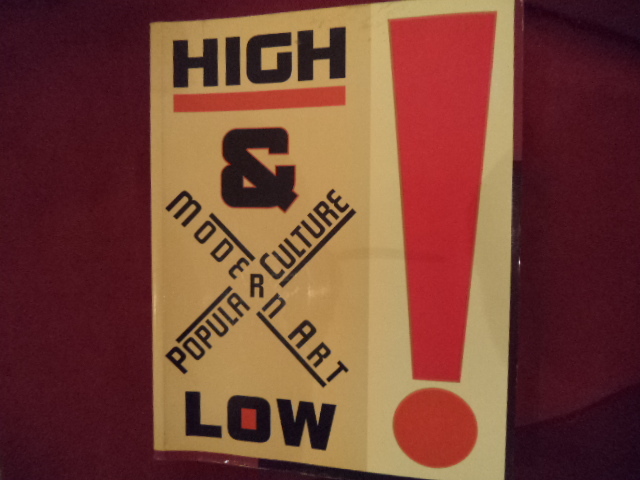 Popular Culture. Photo available. New York. The Museum of Modern Art. 1991. 460 pps. 4to. Soft cover. First edition. Illustrated in black, white and color. Folding plates. Important reference work. Fine copy. Varnedoe, Kirk. Duane Hanson. Photo available. New York. Harry N. Abrams. 1985. 118 pps. 4to. Soft cover. First edition. Illustrated in black, white and color. Important reference work. Fine copy. Varney, Philip. Arizona's Best Ghost Towns. A Practical Guide. Photo available. Flagstaff. Northland Press. 1985. 142 pps 4to. Soft cover. Reprint. Illustrated in black, white and color. Important reference work. Fine copy. Varney, Philip. Ghost Towns of Northern California. Your Guide to Ghost Towns & Historic Mining Camps. Photo available. Stillwater. Voyageur Press. 2001. 160 pps. 4to. Soft cover. First edition thus. Illustrated in black, white and color. Important reference work. Fine copy. Vasche, Joseph Burton. Our County. 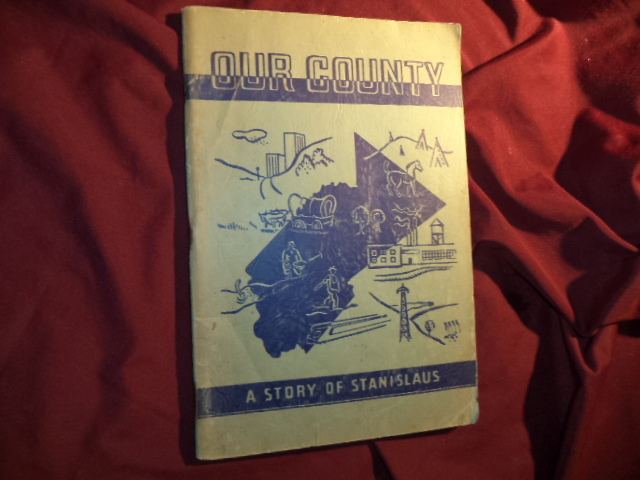 A Story of Stanislaus. Photo available. Modesto. Stanislaus County Schools. 1950. Octavo. Soft cover. Revised edition. Illustrated. Important reference work. Near fine copy (very light shelf wear). Vasko, Donna. I'd Rather be Flying. Photo available. np. Self published. 1980. 4to. Spiral bound. Stated first edition. Illustrated. Fine copy.